The project helps refugees and asylum seekers to feel less isolated and make new friends by attending cooking session at the Soft Touch Arts kitchen at 50 New Walk. They share recipes and cook together using ingredients they get from foodbanks and cheap bowls of vegetables on sale at Leicester Market. Some of the group volunteer to get involved with the Toastbusters street-food stall and gain valuable cooking and catering skills they can use in the future. To read more about the fabulous street-food event click here. 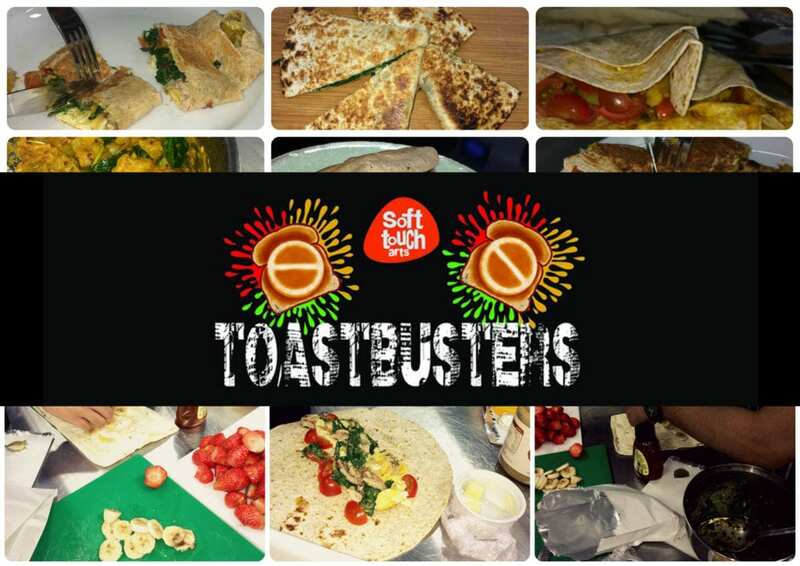 Cooking sessions for the Toastbusters project are funded through a grant from the Morrison’s Foundation.